"...and the man of God wept. And Hazael said, "Why does my lord weep?" Then he answered, "Because I know the evil that you will do to the sons of Israel..."
Elisha was an Old Testament Prophet. He had been mentored by Elijah (of chariot of fire fame) and...as a chosen vessel of the most high...he was sometimes privy to inside information. On this occasion the Lord had given him a glimpse of the evil that would come from this particular man (Hazael). And, of course, it came to pass. 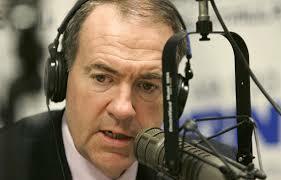 Well, I don't think of Mike Huckabee as a prophet, but he at least has enough sense to see the horrible future that awaits (especially for Israel) if the Iranians get the bomb. He has spoken his mind quite clearly on the subject; complete with a holocaust reference. And my! how the offendable are offended! "How dare he?!" they say, "That subject, sir, is off limits!" Well, Mike is not backing down; nor should he. And, though the party of infanticide rails against him (along with their Hollywood followers) the coming blast(s), if not prevented, will soon wipe their Politically Correct expression and expressions from their collective incinerated lips. By-the-way, at this late prophetic date I truly believe the God of Abraham will not allow Israel to suffer extensive harm; no matter WHAT Iran may be packing. It behooves US, however, to stand with the Apple of God's eye. They may not need us; but we surely need...them. I go down to the local abortion clinic. I stand. I walk around it. I pray. On occasion I say something benign like, "Can we help you?" or "Jesus loves you, and he loves your baby." Usually I say nothing. There are others who are better at it. Women go in. Some are abrasive, cold, arrogant. Others are unsure, conflicted, at the point of tears. They are always accompanied by someone (no solos allowed). Sometimes its a lady pal, or a "kill it" boy friend or husband or pimp. They go in; they come out. They go in; they come out. Week after week after week after week. A few babies survive. Most don't. Tens; hundreds; thousands; hundreds of thousands; all at this one clinic over forty years. And so, now our attention is drawn to Planned Parenthood. Although they've been killing babies for years and years, they are now thought less of because they actually "sell" the body parts of the deceased. It is to laugh. We tolerate the murder, but are disturbed by the disposal. What fools we are. Anyway, with the "revelation" I was, at first, going to go the route of Josef Mengele. For those less versed, he was a creepo Nazi physician who dispassionately worked his twisted, torturous will on captive Jews during World War II. He liked to experiment on them; horrible inhumane treatment that often led to a painful death. Yeah, I thought, I could parallel his actions with those of the modern Planned Parenthood docs. But then, I was thinking...since we of the Christian mindset know that humankind comes with a fallen nature; a nature that must either be constrained from within (a redeemed heart) or without (laws), it only stands to reason that when "laws" are lessened or removed; evil will increase. The Nazis dehumanized the Jews and this led to their wholesale slaughter. In the same way, and with the same inspiration, our Supreme Court has dehumanized the pre-born and their subsequent mass-murder was/is a natural progression. I can almost feel the uneasiness; the cringing and shoulder slumps as I paint the respected jurists (not all) with the label of "evil doers." But...that's what they are. Yes, in the same way as when the Taney Court sided with Satan (more cringing here) our modern, Ivy League educated elite are also willing tools. However, one thing the Dred Scott deciders had on their side is that the abomination of slavery had been grandfathered into the Republic. Infanticide (abortion), on the other hand, was NEVER widely accepted. 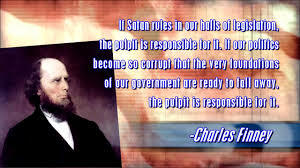 It is the court's omnipotent, unconstitutional usurpation. The conclusion: I believe future generations (if there are any) will look at our modern court with the same disdain that we now view the Taney bunch of Lincoln's day. However, our unaborted offspring (again, if there are any) will little understand why we, the people, did so little to restrain the madness of the black robed kings. 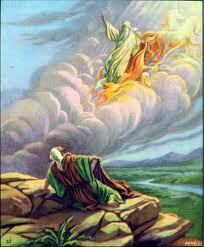 They, from their vantage, will recall the "God is not mocked" judgment that came. We, however, are on the verge of its horrible revelation. It's been a bit since the black-robed, unelected legislators abandoned their place as jurists and boldly defied the Constitution, the people, and the God mentioned in the Declaration of Independence by declaring "marriage" IS what THEY say it is. Once again (and it grieves me to say it) the Supreme Court acts to the extreme detriment of this nation's welfare. 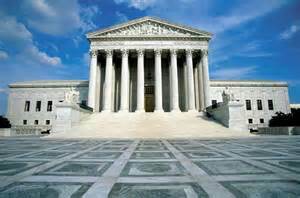 Whether it be removing prayer and Bible reading from public school, murdering the unborn (yes, murder), or now turning civilization on its head by redefining the sacred institution of marriage, these very few sequestered Supremes act as Kings. And, though the remedy for their apostasy is given in the Constitution (i.e. impeachment) there is little will to do what their actions so richly deserve. And so, as we wait to see what will become of "Their" America, I am reminded (as the above Charles Finney caption states) that it is the lethargy of the genuine Church that has brought us to this critical point. For, you see, in the Revolutionary era that preceded the actual historic signing, it was the "ministers" who had taught and inspired their many congregants as to the meaning of the words "freedom," and "liberty." The people were therefore ready to act, and when the time came...they did. Now, the modern messengers have seemingly forgotten that we are to be "Salt and Light" in this dark and decaying world, and have kept their peace as the cancer metastasizes. But, I have hope. I believe God is raising up voices to cry out in this wilderness. I believe there are, even now, prepared vessels that will confront the kings and raise the consciousness of the masses. I don't know what it will take, but I believe the Lord, in His mercy, will withhold full judgment and give us yet another chance to repent and renew. For, although the elite few have rejected Him, the masses have not fully abandoned the "Creator." 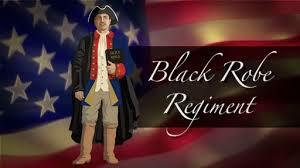 Here's a link to a little history on the original "Black Robed Regiment." 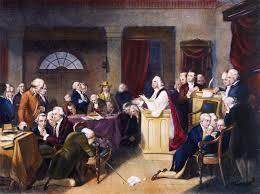 Preachers who inspired the founding generation.